"I didn't always want to teach." This is an ironic statement coming from Amber Shields, a Teach for America alumna, who at one point was deciding between going to law school and pursuing the life of an educator. After graduating from the University of Texas at Austin, she decided to chase her passion — helping kids in her community get the same opportunities that she had been given. "I knew of the impact that teachers had on my life, and I decided that I wanted to have that same impact on students' lives. I think a lot of times, teachers are definitely inspirational role models for students," Shields says. "Toward the end of my college experience, I knew I wanted to have the opportunity to develop and mold students in my community of Dallas, Texas." The students must've had just as big of an impact on Amber as she did on them. 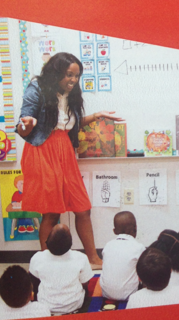 After completing her required two-year contract at Uplift Education in Fort Worth, Texas through Teach for America, she decided to continue in the field of education. She currently works as a third grade Reading and Social Studies teacher at Jimmie Tyler Brashear Elementary School in Dallas, Texas. Becoming an educator through Teach for America is certainly no easy feat. Every year thousands of applicants submit to the corps, which, according to Ashley Johnson, a representative with Teach for America, come from all walks of life. "Our corps is diverse racially, ethnically, socioeconomically, and we recruit people with vastly different life experiences," says Johnson. "Many of our teachers come from the communities in which we serve, and others come from more privileged backgrounds." Although there's no one profile of the perfect Teach for America candidate (they welcome both professionals and recent graduates), a person who has a deep belief in helping children reach their full potential and knows how they want to contribute to educational equity is key. The required two-year commitment is just the beginning of a lifelong career dedicated to providing an excellent education to kids in low-income communities where quality teachers and resources often lack. In other words, they're looking for people who are serious about helping to change lives and mold the minds of our youth. "Teaching shouldn’t be an alternative or just an option to try to get student loans paid off. " "As an alumni there aren't any expectations required from us, but you are provided with a lot of free resources. For example, I am currently in a program through with Teach for America called the Instructional Excellence fellowship and they help the continual development of me as a teacher. I am also exposed to different resources, and I am constantly connected with different people in my profession. Teach for America also provides its alums and corp members with different professional development opportunities, and they keep us in the loop for different job opportunities." "The vast majority decide that they want to continue to have a tremendous impact – some as veteran teachers, others as principals, others as district leaders, policy makers, civil rights attorneys, and so on," Johnson adds. "Whatever your specific interest in combating educational inequality, we work to support it." Photo: teach for america For the modern professional, we look for professional development opportunities in our current or next job, along with a host of other things. Often, the amount that we get paid isn't the most important. For some people, the company culture is very critical. With Teach for America, the culture can vary, but to Amber, it overall feels very young and vibrant. "It is very accepting and constantly evolving. I think it is a reflection of the ages and the generation of the people that are in Teach for America because most teachers that teach through the program are college graduates," says Amber. Even with having plenty of support and an awesome team, teaching might not be for everyone, and Amber advises that you do your internal research on yourself and your personal motives before hopping in the classroom. When asked for advice for people that are thinking about teaching or joining Teach for America, Amber says, "Make sure that you have a genuine interest in what Teach for America stands for in education. Teaching shouldn’t be an alternative option or just an option to try to get student loans paid off because every day we teach real kids." "This is not a game. If you want to teach or be a part of Teach for America, you should be genuinely considering the student lives that you will impact and should care about that." "If you are just teaching as a second option and you don’t really care to teach, you won’t be satisfied because you are not truly invested in it," Amber shares. Just as Amber said, you should be invested in teaching and should have a genuine spirit about it before you attempt to teach. Teach for America is a great program and has had an influential part in ensuring that all students have access to an excellent education. Other than receiving a comfortable salary, benefits, and an opportunity to receive funds for college loans, teachers with Teach for America can receive an experience like no other. 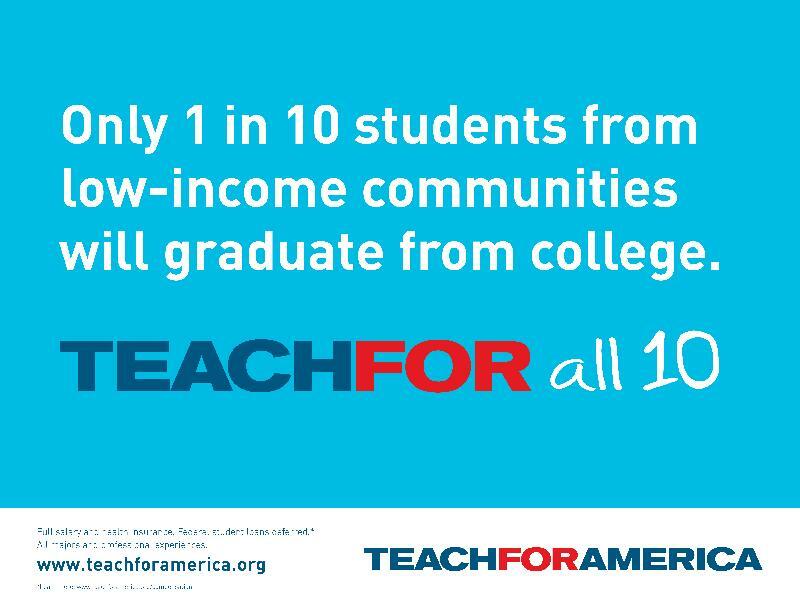 For more information on Teach for America or to learn how to join, click here.